​How does a twelve-year-old survive when he has been the victim of child sexual abuse and compounding abuses perpetrated by leaders of the community entrusted with his care? How does he grow up to become a Jewish community leader and one of Australia’s best known advocates and crusaders against child sexual abuse in both the Jewish and wider communities, nationally and internationally? How has he healed himself and helped others firmly to propel themselves onto paths of healing? 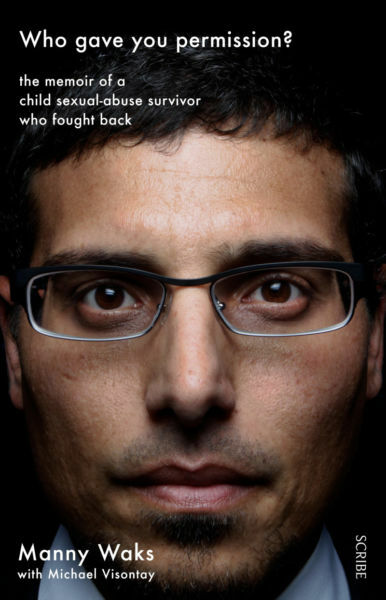 Survivor Manny Waks describes his many achievements to date in this memoir co-authored with Michael Visontay. Born in 1976, Waks, the second of 17 children, was raised in Melbourne’s Chabad community, an ultra-Orthodox sect of Judaism that ruled his life. He lived across the road from the Yeshivah Centre, which includes the Yeshivah College. At home, discipline was harsh. All problems, major and minor, were brought to the rabbi, who dictated solutions. Absolute obedience was demanded of both children and adults and weapons of choice in enforcing it, as evidenced by treatment later meted out to Waks and other victims of child sexual abuse and their families, were shame, ridicule, ostracism, nasty gossip and outright slander. Life in the Chabad community, in which all obeyed the rules without question and were infantilised to the point that they were often unable to independently to weigh decisions or make moral judgments according to conscience, induced a hierarchy of powerlessness that often found expression in the abuse of what power one had. Children in such situations are most vulnerable; too often easy victims. As a young child, Manny Waks was not conscious of the hypocrisy that existed in his Chabad community and its disempowering effects but life changed dramatically for him when at age eleven, he became a victim of child sexual abuse, an ordeal that lasted three years. The two abusers came from within the Yeshiva of the Chabad community. Like almost all children, Waks did not understand that he had been groomed, and no adult noticed. To Waks, the sexual abuse was a “betrayal of everything I knew” He spoke privately about the first abuse to a classmate who betrayed the confidence. Soon the abuse was being openly spoken about by students, teachers and other adults and Waks found himself being bullied and abused by other children. Adults could not have failed to be aware but offered neither support nor intervention. When Waks became the victim of the second predator, he confided in no one, but nevertheless it soon became common knowledge in the Yeshivah and the bullying intensified. In a typical victim response he blamed himself, consciously or unconsciously. He felt shame, embarrassment and humiliation, and began to “act out”, performing badly at school and becoming disruptive. He was moved from formal education to full time religious studies but was soon ignoring many religious practices and consuming large amounts of alcohol. His “cry for help” was met with exclusion from class by teachers and physical beatings by his father. Waks states that he was not prepared to handle the sexual abuse, which misses the point that it was not his responsibility but that of those to whom his care was entrusted, to protect him from predators and, should this fail, to support him on the path of healing. Despite their absolute authority, rabbis and leaders of the Chabad community displayed an extreme lack of understanding about the predatory nature and criminal activities of paedophiles. That ignorance was picked up by the children. Waks was informed by peers that “everyone” should have known that the second abuser was believed, rightly or wrongly, to be homosexual and therefore Waks must also be homosexual and have invited the crimes. As victim he was both blamed and punished. It is most disturbing that such gross distortions of fact and reality, including the conflation of homosexuality and paedophilia, could be espoused by rabbis responsible for Chabad children. Also ignored was the imbalance of power between victim and perpetrator and the fact that a child cannot give consent. At 17, educationally disadvantaged and still nursing open wounds, Waks left school and decided to make aliyah, leaving Melbourne shortly after his 18th birthday to enrol in the Israeli Defence Force (IDF). After a series of adventures and misadventures, he returned home to Australia in 2000. In 1996, while home on leave from the IDF, he spoke to Victoria Police about his sexual abuse but no action was taken. At this time Waks also told a rabbi, the Yeshivah Centre director, but four years later the abuser continued to have full access to children. He spoke again to the rabbi, who dismissed his concerns. After arriving home, Waks married, found employment, commenced study, and eventually graduated with a degree in International Relations. 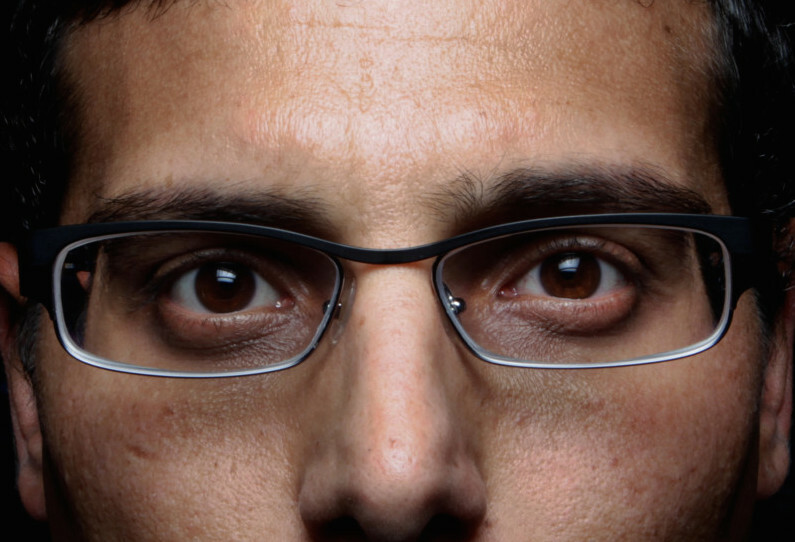 In 2011 Waks had an article published in Melbourne’s The Age newspaper in which he spoke of his sexual abuse and its detrimental consequences to him and his family. By going public about his abuse, Waks broke the rules against mesirah (informing), considered by many a crime “worse than the original offence, worse than molesting a young boy”. In 2012 he gave evidence before the Victorian Parliamentary Committee. Following this, his extensive victim advocacy inspired him to establish Tzedek, a support and advocacy group for Jewish victims and survivors of child sexual abuse, an organisation in which he held various positions. Waks considers that his appearance before the Royal Commission into Institutional Responses to Child Sexual Abuse was both vindication and achievement for him. He was granted a public hearing and became the public face of the campaign in the Australian Jewish community, the first time it had come under such intense scrutiny and a first for Jewish communities worldwide. Jewish religious and community organisations were conspicuous by their absence. For daring to defend publicly the rights of Jewish victims, Waks met with hostility. Meanwhile, known abusers within the community had been left in positions in which they were able to continue abusing, in marked contrast to the cold-shoulders or overt hostility and abuse often meted out to victims, and their abuse was further enabled by the silence of Yeshivah leaders. Such intolerance of dissent suggests a closed-mindedness that allows nobody to grow and flourish. Attacks on Waks by Jewish community leadership have included discrediting of his and other victims’ evidence, and choosing to ignore the substance of his campaign – to stop the abuse of children and not just to obtain a measure of justice for the victims, but to reduce the likelihood of such crimes being committed in the future and, should they occur, to mitigate their impact. This is surely the right of every child and also of any parent who entrusts children to care, guidance and education in Jewish communities from ultra-Orthodox to Liberal, not to mention the Catholic and other institutions which have so grievously failed their sexual abuse victims to date. Unbowed, Waks continues his work, in 2016 launching Kol v’Oz, an international organisation of which he is the founding CEO. It aims to become the leading voice on child sexual abuse in the Jewish world. This is a forthright and compelling narrative, written in a “warts-and-all” self-reflective way and with an informality of style that will readily hold the attention of readers. ‘Who gave you permission?’ is particularly recommended for parents, teachers, and others entrusted with the care of children is entrusted and for all people committed to ending the societal scourge of child sexual abuse. It will also give strength and hope to victims and survivors. Here is one place to purchase the book.